In the era where speed, security, and efficiency are keywords for digital communication, fiber optic became essential. The transportation of impressive data from one place to another is possible through hair-thin optic fibers in a matter of seconds. In the last 25 years, because of its superior qualities and abilities to transport information, fiber optic has been continuously replacing other technologies and right now is one of the main technologies that enable the global growth of digital communication. 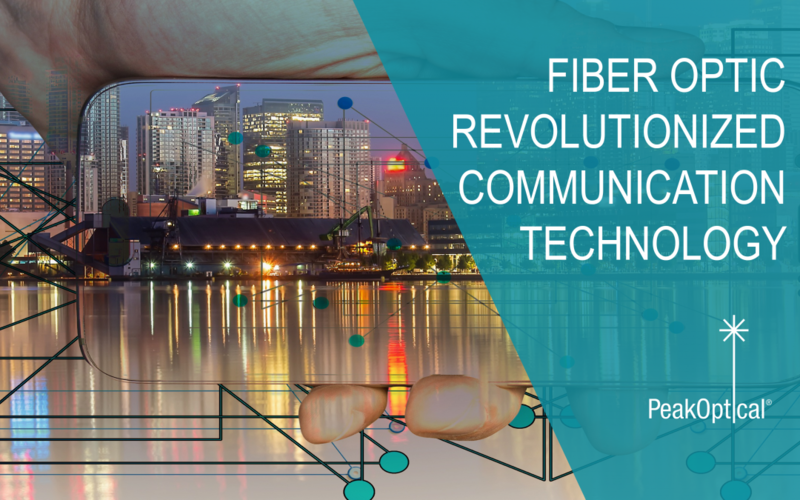 In this article, we are discussing how fiber optic revolutionized communication technology. With the invention of the heliograph, the fiber optic technology began to take shape. The heliograph reflects the sunlight from a transmitting to a receiving station through a code. This phenomenon is called internal reflection. Light passes from a transparent medium to another. In 1854, John Tyndall proved that light can be guided in a transparent medium. In his experiment, he guided the light along steam of water flowing from a container. In fiber optics, the internal reflection is used to keep a light ray inside the core. The rays are travelling down the core in a zigzag pattern by a succession of total internal reflections at the boundary between the core glass and the less dense glass surrounding it. Glass is transparent, isn’t it? We can see directly through it. Not much to discuss here, so why was it needed for a glass that is even more transparent than the conventional one to be developed? The Pyrex or soda-lime glasses we use in our daily lives are not transparent enough for the fiber optic technology. Surely enough they seem to be transparent but that is only because we generally use it in thin layers. If examined from a side or from a narrow edge, it can be noticed easily how glass has actually a green-brownish color. In the late 1950s, glass not much thinner than the common one was used to make fiber imaging bundles. Numerous optical fibers are connected together to form an aligned bundle. The image projected onto the end of the bundle is retransmitted along the link and can be viewed at the far end. This technique was used especially in the medical field because the light that was transmitted for reaching the far end of the conventional glass was strong enough to allow the group of images to be used inside the body. Initially, the imaging bundles turned out to be quite effective on a bundle of 1 m long (80% of the original light reached the far end). 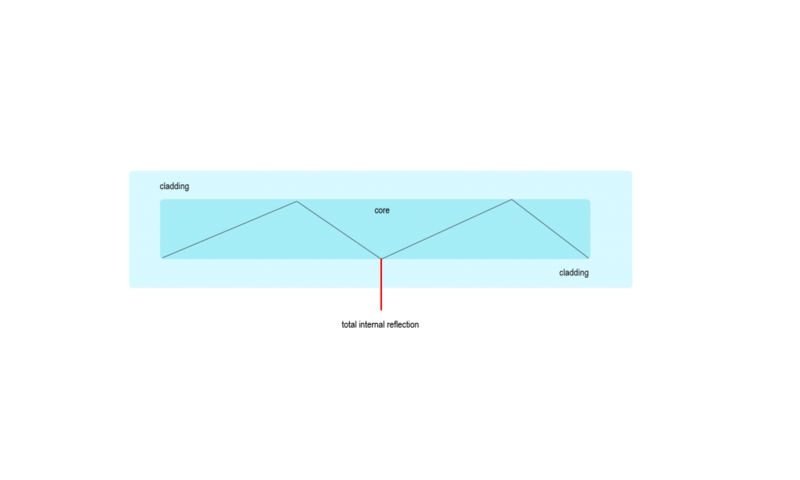 If a fiber is 100m long, the light fails to reach the far end because of the attenuation process. The longer the fiber, the more the light intensity is reduced. In the 1960s, the need for more transparent glass fiber to transport light over longer distances was imperative. Charles Kao and George Hockham at Standard Telecommunications Laboratories Ltd discovered a concept that reiforces the ideea that fiber optic revolutionized communication: the attenuation happens mostly because metal ions (iron, copper, vanadium, and chromium) are present in the components of the glass fibers. If the attenuation will be of only 20 dB/km, then the fiber optic communication will be possible. 1% of the light will actually reach the far end of a fiber with a length of 1 km. Only in 1970’s Donald Keck, Robert Maurer, and Peter Schultz at Corning Glass achieved the attenuation figure of 20 dB/km. Even more, by 1975, the numbers were down to 4 dB/km. And to make things even better in 1979, the figures were reduced to 0.2 dB/km, meaning that 63% of the light reaches the far end of a fiber. In the modern days, fabrication techniques that eliminate the impurities were developed. The capacity of carrying information of a fiber optic is by far superior to wires or coaxial cables because they carry light (DUH!). The frequency of the light beams that travel along optical fibers is around two hundred trillion cycles per second. Fun fact: The entire population of the Earth could be on the phone on a single fiber at the same time! The fiber optic cables are inexpensive to produce, do not conduct electricity, they are not degraded by lightning storms, and they are of a small size. Fiber optics revolutionized the communication technology by allowing the transmission of greater data capacities on considerable longer distances, with less interference than the traditional copper technologies. Once the data transmission services started taking the place of voice services, and with the expansion of the internet, the traditional technologies could not keep up with the data transmission necessary performance. Let’s just think how the phone technologies shifted from voice services to data services. These days, our phones became small computers and we use them more for data transmission than voice. Fiber optics has been the enabler for the development of other technologies such as medical devices, IOT devices, and all the other devices that require data to be tranmitted back to a server. PeakOptical A/S is a Danish manufacturer of optical transceivers, wave division multiplexing, media converters and patch cords. We are known for our outstanding quality and excellent service and welcome the opportunity to collaborate with you. Find out more about our products here.